Hyundai's official teaser campaign #WhenYouLoveToExplore sheds some light on the brand's upcoming compact SUV. After being spotted while testing on numerous occasions, Hyundai India has officially launched the teaser campaign for its upcoming compact SUV (codenamed QXi) under the title #WhenYouLoveToExplore. Taking the video route, Hyundai aims to disseminate the campaign via multiple short videos which will give crucial glimpses of the car, though still in its camouflaged state. Further, Hyundai also claims that the campaign will underline the SUV's driving capabilities in enduring high latitudes and extreme weather conditions. 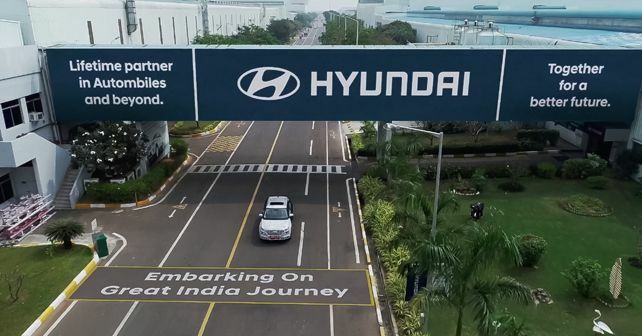 Dubbed as the 'Great India Journey', the first video release shows the car embarking on the journey from Hyundai India's plant in Chennai and will head next to the Aravallis in northern India. Coming to the car itself, reports also suggest that the compact SUV will be called the 'Styx', however, there is no confirmed word on this yet. Seen as a direct rival to the newly-launched Mahindra XUV300, Hyundai is also expected to follow the same formula as Mahindra did with the XUV300 - giving the QXi some segment-first features, an impressive engine line-up and competitive pricing. While we don't have a clear idea about the car's styling yet, expect it to borrow heavily from its bigger siblings. In terms of the engine options, the QXi is most likely to get the same 1.4-litre petrol and diesel motors from the Verna, with the introduction of a new 1.0-litre three-cylinder turbo-petrol motor.